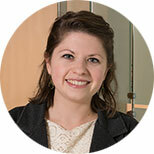 Katya Shackelford, BA, is a Research Manager on the Strategy Team at the Institute for Health Metrics and Evaluation. Katya joined IHME in 2013 as a Data Analyst, primarily working on nonfatal health outcomes for the Global Burden of Disease study, and survey programming and data management for the Access, Bottlenecks, Costs, and Equity (ABCE) project. Within her capacity as a Research Manager, Katya manages primary data-collection efforts for the ABCE project, as well as supporting cause of death estimation for the Global Burden of Disease study through coordination of data preparation and processing activities. Born and raised in San Francisco, Katya received her Bachelor of Arts in Anthropology from Scripps College in Claremont, CA.